8. Thompson, Hayden Don't You Worry Sun (Tenn.) uniss. 9. Thompson, Hayden Congratulations To You, Joe Sun (Tenn.) uniss. 20. 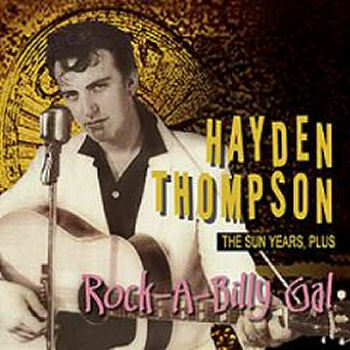 Thompson, Hayden This Old Windy City [unissued] uniss. 24. Thompson, Hayden Act Like You Love Me Von (Miss.) 78-HT1001 1955/Nov. 25. Thompson, Hayden I Feel The Blues Coming On Von (Miss.) 78-HT1001 1955/Nov.